I have a decorative cushion for you. Is in a beautiful mint color. It’s a free pattern. Combine four unique squares together. Create the perfect pillow. 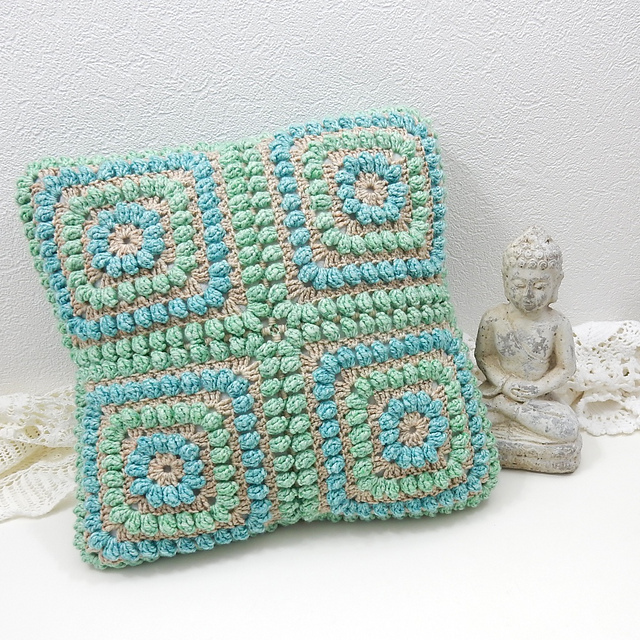 The pattern is simple and pleasant in crocheting. The pattern is made of Scheepjes Merino Soft Brush. The whole pillow has a size of 45cm x 45cm. It is modern and stylish. Made of soft materials. Good luck! 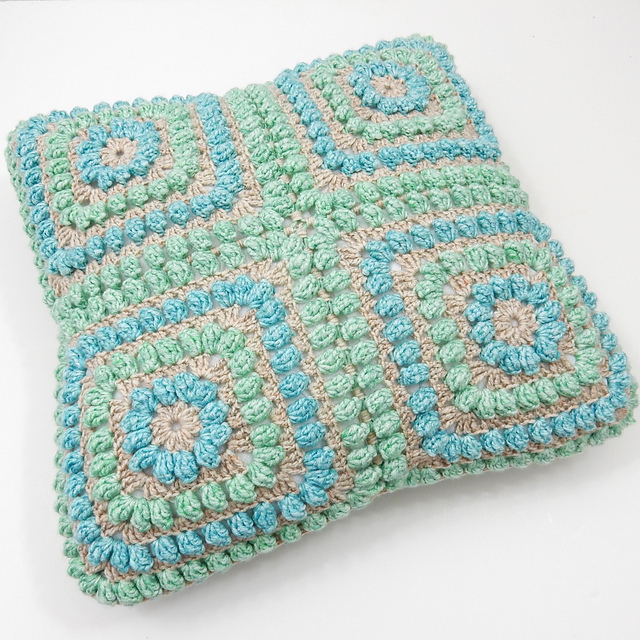 Squishy Popcorn Pillow Free Crochet Pattern is here.